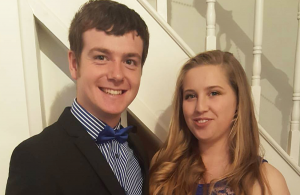 Toby Cowan, 20, from Sampford Peverell has been invited to attend the wedding of his Royal Highness Prince Harry with Meghan Markle on the 19th of May 2018. Toby, an apprentice at Tiverton based engineering company HepcoMotion, was nominated for this prestigious invite due to his extensive work within the community promoting apprenticeships. Exeter College, where the engineering apprentice is enrolled, was contacted by the Lords Lieutenant of Devon’s office and asked to nominate an exceptional student to attend the wedding. Toby is one of 1200 members of the public that has been invited to attend within the grounds of Windsor Castle. The guests will watch the arrival of the bride and groom and the carriage procession as they leave after the marriage service. Toby has already received two awards during his vocational training. He won a Pride of Devon award in the category Apprentice of the Year. He was also the regional runner up of the Engineering Employers Federation award for First Year Advanced Apprentice. Toby has attended apprenticeship fairs and visited schools to promote the benefits of apprenticeships and also hosted the Exeter College Apprenticeship Awards in 2017. “My friends and family thought I was kidding at first, but when the actual invite came, they believed me”. Toby’s girlfriend, Izzy, is delighted about the invitation, and will be accompanying him.